Have you wondered about a pet home monitoring camera? As a pet owner and a pet sitter, a home monitoring camera can be a great addition to your home. 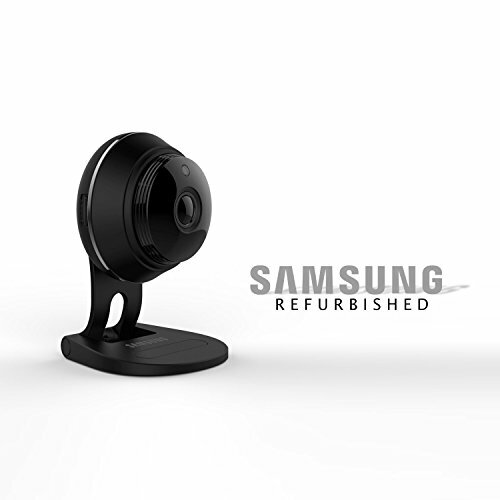 I received a Samsung SmartCam HD Plus WiFi home monitoring camera for review. This post contains affiliate links, and I will receive compensation if you make a purchase after clicking on my links. Having a pet home monitoring camera like the Samsung SmartCam HD Plus allows you to watch your pet via your smartphone or computer when you are away from home. Pets can be more troublesome when they are left alone because they're bored. A home monitoring camera will help you feel connected to your pet even while you're traveling. For those that use pet sitters, a home monitoring camera will also let you stay in touch with what your pet sitter is doing. Always stay connected to your home with the Samsung SmartCam HD Plus. Innovative features such as Two-Way Talk, Advanced Audio & Motion Detection, and True Day & Night allow you to look after your home from anywhere in the world. Experience a large, clear image on your mobile device or computer/laptop with the available 1080p Full HD Streaming and the all new ultra-wide 130° Angle angle lens. Setting up your home network takes only a matter of minutes - simply download the free Samsung SmartCam app for iOS or Android, available on the App Store® and Google Play®, to your mobile device and follow the intuitive setup wizard guide. There’s no need to squint your eyes or lean in close with the SmartCam’s 1080p Full HD Video. The large 1/3.0-inch CMOS sensor allows maximum light through the lens ─ producing vivid colors, brighter video, and stunning detail. The SmartCam also supports up to five multiple viewing streams, meaning both you and your partner can check in on the house at the same time. The Samsung Two-Way Talk feature lets you hear what’s going on around the camera and reply through your smartphone, no matter where you are. It’s possible to soothe your child if they wake up momentarily, encourage your pet to eat from a scheduled feeder, or give your guest a quick walkthrough of where that kitchen set is. I'm not overly technical so I was worried that installing a pet home monitoring camera would be a challenge. Thankfully, it took less than 5 minutes from start to finish. You simply connect the power cord to the camera and the adaptor and plug it in. Then, you download the free app (iOS or Android). You create an account on the app and it walks you through the process which literally takes just a few minutes to connect to your WiFi. You can set it to notify you for motion or noise detection. Or, simply watch it on your smartphone when you want to see what your pets are doing. You have the option of saving the video to your cell phone or an SD card. You can even have a two-way conversation if you'd like to call your pet to come for food at a certain time. Of course, it also has handy features like image capture, brightness recording, notifications, and voice recording so you can customize exactly what you want your camera to do. I love that the image the camera detects is truly a widescreen image so you can see what's happening in the entire room. 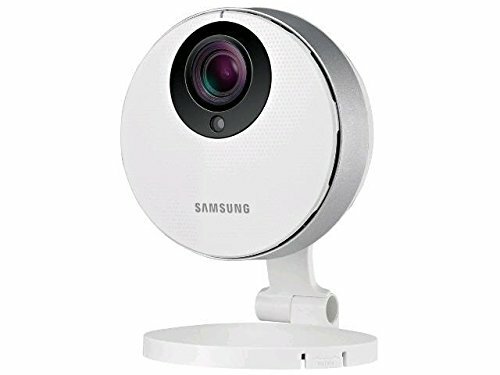 If you're looking for a pet home monitoring camera, I was very impressed with the Samsung SmartCam HD Plus. Two of my readers will win one of their own. Tech home monitoring, travel. permalink. Where to Place Cat Trees For Your Large Cats? Would love to be able to check on my 16 year old dog, during the day, when we are not home. I really need to replace my present system with a reliable compatible system like the Samsung SmartCam! I have 3 dogs – it would be fun to see what they are up to when I’m not home. Pretty sure they sleep, but who knows? For my mom to be able to check on her dogs. I need one of these. I live over an hour away from my entire family up north in the mountains, and I like to go visit them for a day or two at a time on occasion, but I am always worried about leaving my pets home alone for an extended period of time. Having this would not only make me feel more at ease and comfortable but I would always be able to know exactly what is going on when I am away from home and I’ll feel better knowing not only what my pets are up to but knowing they are safe and okay until I return home. I’d love to secure my home with Samsung SmartCam. I would love to check in on our dogs while we’re not home. I want to win because its a sure way to keep an eye of my little furry babies. Thanks for the chance! We just got a new puppy and we’re very nervous sometimes to leave him home alone! I’d like to win to see what is going on in our home when we’re away. When I moved into my present day apartment, they didn’t allow pets, but now they do. I’d like something to monitor my pet when I’m at work. I’ve seen some really useful vids and told myself I would absolutely get something set up for a new dog or cat, just to see if they are having issues in my small apartment. This is amazing! I am on vacation right now and, while I trust my cat sitter, I would love to be able to check on them! I am going on vacation again in september and this would be amazing for my next trip! This would be amazing to win simply for the ease of mind it brings. I can check up on my home while away & that is priceless. Thanks for the chance to win this awesome product. I would love to win to give my family a peace of mind while away! being able to check in during the day would put my mind at ease and give insight to the secret life of pets. We’ll be cat sitting a lot this year and this would help me keep an eye on things when we’re out of the house. Love this idea. I would love to win so that I can keep an eye on my dog when we are out. This would be perfect for our new home. I would love to win so we can check our dog Jaxie throughout the day. I actually want to put this on our main floor so we can check in on our dog while we are away from the house or on a trip. I love the 2-way voice. We have someone come in and take care of on dog while we are away, but we know he misses us, so it would be awesome to be able to talk to him also. And we can also log in and SEE him while we are away. Plus extra security so we can see what’s happening while we are upstairs, I can talk to the kids downstairs while I’m upstairs without having to YELL through the house. I LOVE this idea. I’d like to win because I think it would be fun to see what my cats are up to when we aren’t home! Because my wife is always worried about packages on the front porch. I would aim this out the window! This would be great for keeping an eye on our cats. Especially now that one is getting old and feeble. I would love to be able to check in on our 3 cats. They are loved very much and they are very people oriented. They don’t like it when no one’s home. Home monitoring would be great! We could use this camera to monitor the basement entry doors. What a great giveaway. We have two dogs. One is ours and one is my daughter’s but she lives with us. Our dog is older and okay being left alone for a reasonable amount of time. My daughter’s dog is a rescue who came to us as a puppy but with serious baggage. She had a rough start to life. She doesn’t do well being alone. She gets upset and howls. We’re worried she could damage the house if we go too long. We’ve tried to work on it slowly but we still struggle with it all. I have been wanting a pet cam so we can start living her but are still able to keep an eye on her. She’s just the sweetest dog and we love her dearly. But between her past and my daughter being in the military, we’re definitely dealing with some separation issues. Having one of these would be a game changer. I’d love to know what mine are up to all day! This is such a great device for anyone really – with or without pets. I have always wanted to know what my dog does when we leave. She howls as we walk out the door and I’d love to know how long it takes her to calm down! We work outside the home and have 2 dogs…. I would love to keep an eye on them during the day! I love Samsung smart products and I want a new way to stay close to my dog! I’d like to win because we’ll be puppy sitting quite a bit this summer, and this would help me keep an eye on her if we have to leave for tee-ball or swimming or errands. I would love to win to make sure our animals are alright. I have 5 cats all of them except one are medically fragile. I also have an older dog. I guess I want to win because I worry about them. I would like to win to keep an eye on my pets when I am not home. I’d love to see what goes on in our house when we aren’t home, and keep an eye on things when we are outside or in another room. I’ve never had a video monitor before! I rescued my dog and am her third owner. She has separation anxiety and sometimes bites the fur on her knees down to the skin. She has also started peeing in her sleep recently. I would like the camera to keep an eye on her while I am at work to try to help her work out her insecurities. I would like to win to keep an eye on my pets. We have a dog and three cats who love to have the picture taken so it would be fun to film them too. I’d love to win this to keep an eye on my fur baby while she is home alone! She gets such separation anxiety when we leave and I think about her all day. This would give me peace of mind to actually see that she is going ok! I would love to see what my pet is up to while I am gone. I’d like to win to see what my animals are up to when I’m gone. I’ve always wondered. because I need this for my dogs and I have wanted it forever! I would love to be able to see what my dog Princess does while we are gone. I have a small dog that is getting older, and he is starting to have seizures. I would like to be able to keep an eye on him when no one is home, or even if they are. I would love to be able to see what my pups and kitties are up to while we are at work!! its gotta be fun to see what they do all day!!! 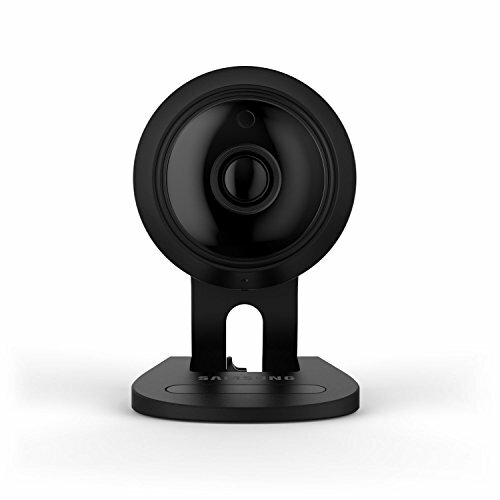 I pretty much already know what my dog does when I’m not home (sleep on the couch), but it would be great to have this as a general home-monitoring camera for when no one’s home. We are about to have a baby, so I would love this in the living room to make sure our pup isn’t messing with any of the baby gear! I would love this to find out which cat is destroying the home. I love that this camera has a pet cam, I would love to check in on my pets often when I’m not home as well as check in on my home to be sure it’s safe and secure. I would love to make my home more secure and keep an eye on my fur babies when I am not home. Because my Keeshond mix can open the back door haha. I want to win because this would be fun to try out. We’re going on vacation in a few months and this would be great to keep an eye on our kitties while we are away! Plus my daughter is getting of the age where she can stay home alone for a bit…this would help make me feel more at ease about it! I would love to win, so I can keep an eye on my bunny when I am at work! He free roams and I am sometimes worried about him, especially now in summer when it is so hot! I have a 6 month old puppy that I would like to see when he is downstairs in the kitchen. I would love to win to see what my dogs do when I am not around. It would make me feel better about leaving them alone. I would love to have this to check on my new pup. What a great way to stay connected when i have to be away from home! Thank you for hosting such a nice giveaway! Would love to know what’s going on! I would like to win because I would love to be able to see what my two cats do when I’m at work or on vacation. This would be great for so many things! I can keep an eye on my pets, my house and just to check in! I’d love to give this as a gift to my good friend who just got a puppy! Would be great to see what my dog is doing while we are not there. What a great view this device shows you! This would be great because I have 7 animals including an 80 pound precious dog, an Ectlectus Parrot, hamster and 4 cats so this would be great since I work long hours in the emergency room! This is great to check in on my dog and cat when no one is home as well as overall home protection just in case. I would really like one so I can keep an eye on my pets when I am away from home. Especially if one of them is sick. We would love to have this to monitor who terrorizes who the dog or the guinea pig when we are away. In addition, it would be great to have to help us keep an eye on my father in law when we are not home as well. We know he is feeding the dog table food constantly when we are not within eye sight and swears to us he doesn’t. He moved in with us after his stroke and can not be left alone for long. I want to win for my cats. I shelter elderly cats. We have four cats that are always up to something. It would be wonderful to be able to check in during the day when we are out and about to see just what the fur babies are doing! I would like to win so I can spy on my pets. I would like to win so I can spy on my cocker spaniel (Brownie)! I would love to win this because because I have both small children and adults new puppy! It would be so handy to have. It would be fun to see what my pets were doing. I would love to be able to see my dogs while I am working and away from my home. I want to win this for my pets–I’m always nervous when I’m out for extended periods of time and this would be such a great tool/resource! I would like to keep eyes on my backyard. I want this for my son to check on his dog when he’s working. I want this because we have 2 new puppies and I want to know which one is getting into the garbage and taking the pillows off the couches. I would love to win this so I can check on my senior dogs, Rusty and Ariel, while I’m out of the house. It would also help me keep Rusty out of the garbage. This would be great to win, not just good to watch the pets, but teenager too when she is there unsupervised while I’m out grocery shopping or somewhere. I think it would be cool to be able to see what is going on with the dog though, because for awhile he kept getting into the top cabinet and we never did figure out how he got up there. I want to win to spy on my pets and kids when I am not home. That is why I would like to win. I always worry about my pets when I am not home I would love to be able to check in on them it would give me a piece of mind. I would like to win this so I can keep an eye on my dogs and a cat. I would love to see what my crazy pup does during the day! I would like to win this to be sure that my pets are secure via an app while they are living under my roof while I am away from home. I would love to win this for my in-laws because they like to travel, and when they’re away they can check on their house. I like to see what is going on. Too many times I come home and the house looks like a banche ran through it. I’d love to win for my pets. We repurposed our old video baby monitor to use as a doggie monitor. It works adequately, but I may upgrade now that I know its not too tough or expensive. Now is definitely the time. There are lots of great sales!